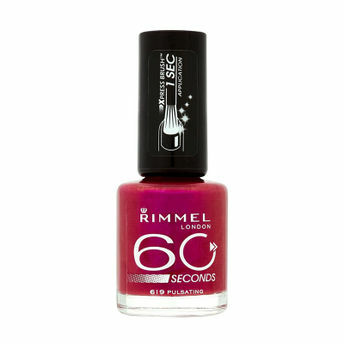 Rimmel 60 Seconds Nail Polish dries so fast, you can change your nail colour every day! XpressTM brush for 1 second application Dries in less than 60 seconds Picture perfect nail colour in a flash! Explore the entire range of Nail Polish available on Nykaa. Shop more Rimmel products here.You can browse through the complete world of Rimmel Nail Polish .Alternatively, you can also find many more products from the Rimmel 60 Seconds Nail Polish range.